Well looks like Monday just got a little better… Our favorite Europeans lads; Harry Styles, Niall Horan, Zayn Malik, Louis Tomlinson, and Liam Payne have caused chaos online, especially in the twitter universe after the official release of their lead single off of their highly anticipated album Four. 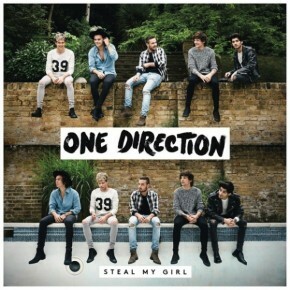 The tune, which was leaked online hours before its official release, is titled “Steal My Girl”. The song talks about how the lads can get a bit protective over that one special person with lyrics like, “Everybody wanna steal my girl, everybody wanna take her heart away. Couple billion in the whole wide world. Find another one cause she belongs to me”. The lyrics are accompanied with a piano riff backdrop and handclaps, which is why many are calling the tune a “stadium anthem”. Tomlinson and Payne helped co-write the song alongside Wayne Hector, John Ryan, Julian Bunetta and Ed Drewett. This song shows how the 1D boy’s sound is maturing even more than it did in their previous album Midnight Memories. Overall, it is safe to say that One Direction has broken the “bubble gum pop” mold. One Direction’s album Four will be released on November 17th, accompanied by a live performance on the Today Show. You can also pre-order the album here.